1. It is completely oral in the beginning (no worksheeets or writing). 2. It uses a very classical, simple method of teaching arithmetic. 3. It focuses on developing a child's mental math ability (which is so, so important in these early years). 4. It allows the child to think for himself about, and discover the truth of, mathematics. 5. It's very cost-effective, which is a BIG plus! I thought I would share how we're using Ray's Arithmetic so far (8 weeks into year one). First, the Ray's Arithmetic yahoo group is a wonderful resource. It contains a schedule and an overview of the first year of lessons. I printed off both and put them in my "teacher" binder as a reference. 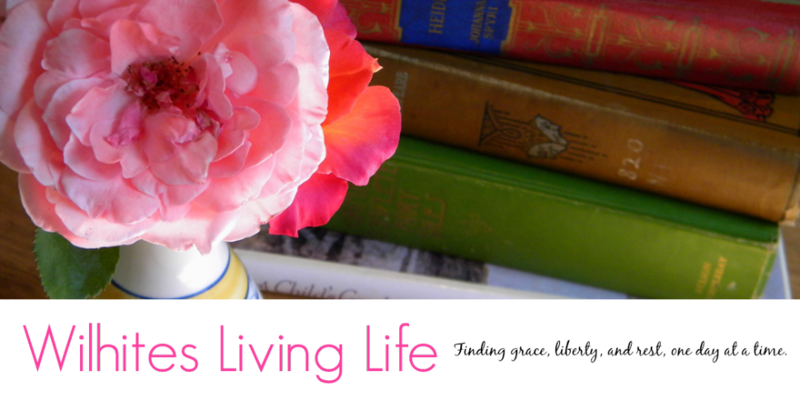 Second, I wrote a post outlining the first year. You can read that here. Third, there are a few simple manipulatives/materials that will be needed - but definitely nothing fancy! 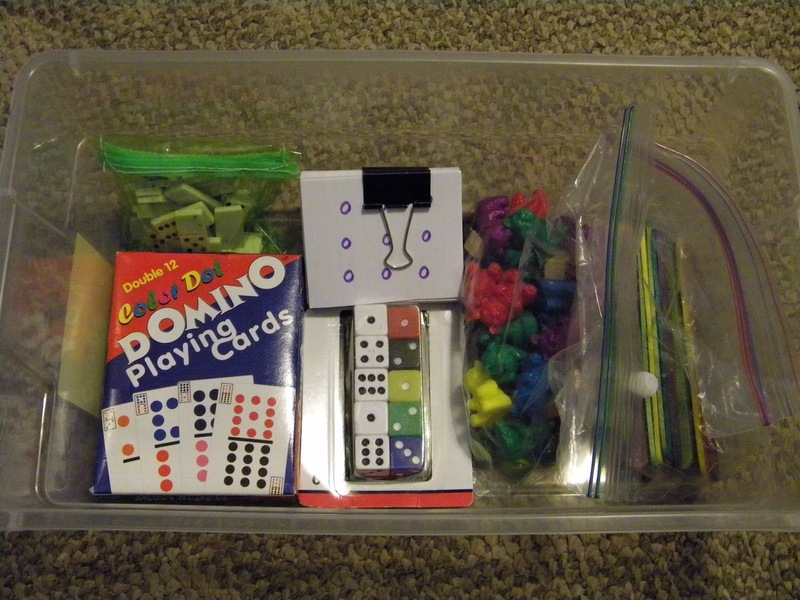 Here's a peek into my math tub (it's a shoe box from Dollar General - cost me a buck). We use counters, which could be anything - I have blocks, marbles, bears, dominoes, and craft sticks in here. The other thing we use are flashcards, which I made (you can see them clipped with a binder clip). More about those below. I also have dice and Domino playing cards (which we haven't used yet - I got them in case we play games with them, which I'm sure we will do in the future). For the first nine weeks, the focus is on recognizing groups of objects from 1 to 10. 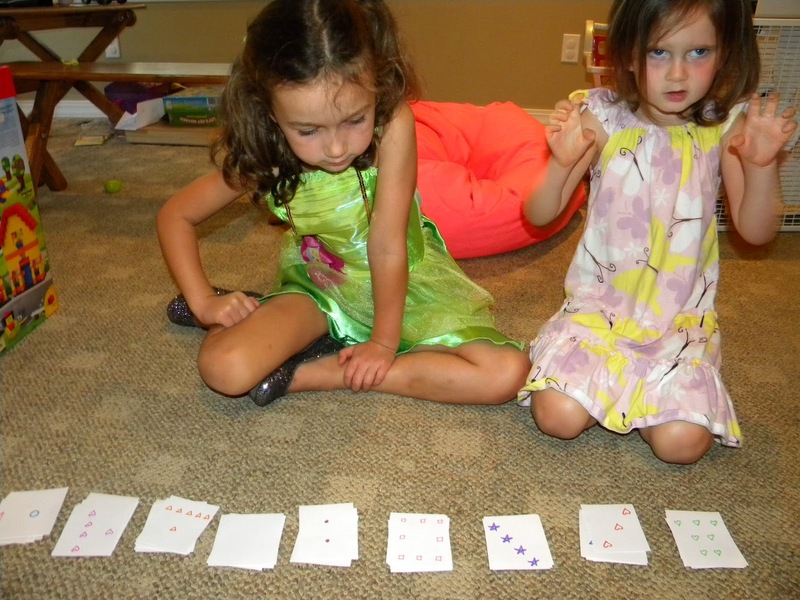 The key is to teach the child to recognize how many objects are in a group without counting. The way a child is able to do this is by recognizing the combinations that make up a certain number. For example, when given 8 blocks, the child should be able to notice and pick out 4 blocks and another 4 blocks in the group and, knowing that 4 and 4 makes 8, be able to tell that there are 8 blocks. Or she may see 5 blocks here and 3 blocks there and, again, since she knows that 5 and 3 makes 8, there are 8 blocks. Etc. This method is great at training a child's mental math ability, which is so, so important (did I already say that?). I talked about this in a previous post. The two main manipulatives I use to teach recognizing groups without counting are the counters, shown above, and homemade flashcards, shown below. In this post, I'm going to share the activities we do with the flashcards, and in another post I'll share how we use the counters. 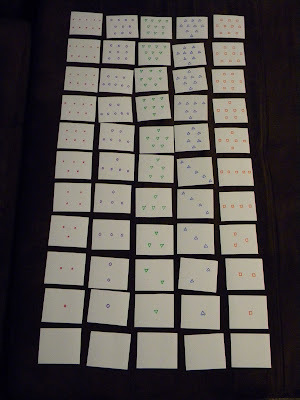 I took index cards, cut them in half, then used markers to make five sets of groups of objects from 0 to 10, using a different shape for each set. Notice also how I tried to represent different combinations for each number. For example, in the number six row, you can see the combination of 3 and 3 on the first card, 2 and 4 on the second, 1 and 5 on the third, and so on. Of course, children may see a different combination, and that's perfectly fine. Let's say we're working on the number 7. I'll lay out all of the flashcards randomly (you could always lay out fewer if it seems too daunting for your child). I'll tell Izzy to, as quickly as possible, find two cards at a time that make 7, and to find all the combinations that she can. So, she'll have to pair up 2 and 5, 3 and 4, for example. I'll usually put the timer on, record her time, and then if we do it again another day, she'll see if she can beat it. Some kids may not like to be timed, but Izzy is pretty competitive and likes the challenge. This activity is done after we've used the counters to learn all the combinations of a particular number. 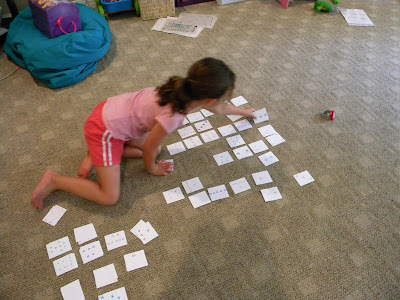 I'll lay out the flashcards randomly again, and tell Izzy to find all of the cards with a certain number of objects, as quickly as she can. I'll either have her find the cards with the number that we're currently working on, or this can be used to review previous numbers. I may tell her to find three cards with 6 objects, then once she finds those, have her find three cards with 8 objects, etc. I usually time her with this one, too. 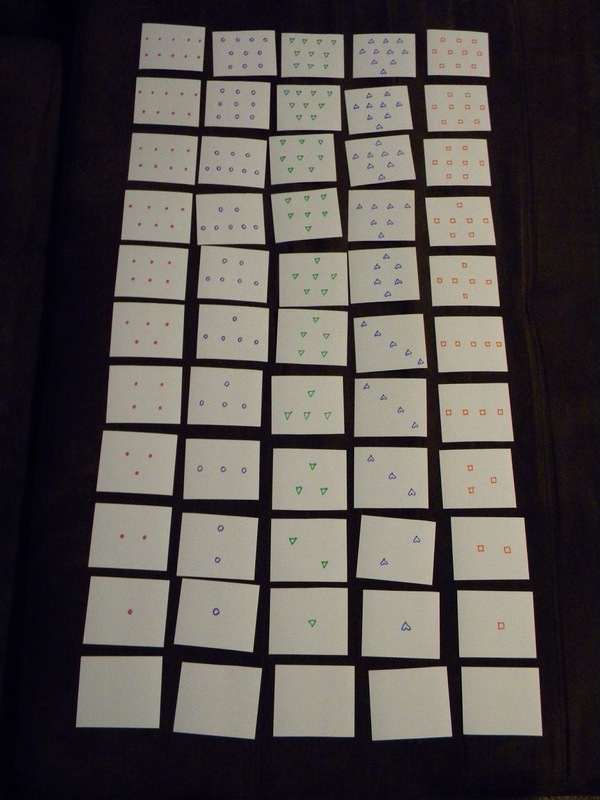 This time, I'll sort the flashcards by number and lay each set in a pile, as shown below. So, all of the cards with one object are in a pile, all of the cards with two objects are in another pile, etc. Izzy decided to be Tinkerbell this day, and I have no idea what Addy is doing. I'll choose a card from one of the piles, say one with 5 objects. I'll show the card to Izzy and say, "Make 9" (for example). She'll have to 1) figure out how many objects are on my card, 2) figure out how many more objects are needed to make 9 - in this case 4, and 3) find a card with that many objects (again, in this case 4). I'll continue this, randomly choosing cards and randomly asking her to make different numbers until we can't make anymore. This is a good review activity. 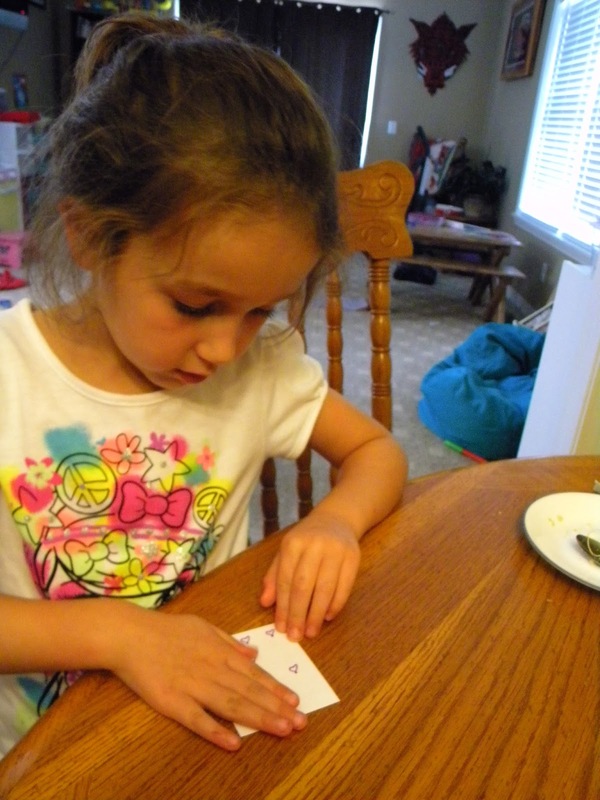 I sometimes use these as plain ole' flashcards, showing her each one, and having her tell me how many objects are on the card. Again, it's important to avoid any guessing, so, especially with the larger numbers, I'll have her explain how she knows there are eight objects, for example. Another good review activity is the classic game of War. Instead of using a deck of cards, we'll use these flashcards. It's usually pretty easy to tell who wins each hand, but to reinforce the math, I'll have her tell me how many are on her card and how she knows. That's about it! In another post I'll share how we use the counters. Thanks for reading! You can find Ray's in the public domain. I've heard a lot of good things about MEP. Have you written the next post about using the counters? I'm trying to transition my 6yo over to a more CM way of doing math and am trying to figure out how to get started with Ray's. Also, how old was your daughter when you started this with her? No I haven't. I had a baby not long after I wrote this post, so I haven't really thought about it in awhile. But I will! 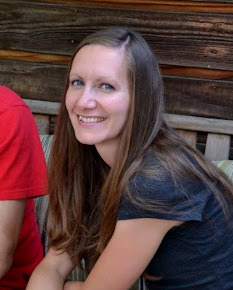 And I will *hopefully* be writing more about our math journey on this blog as well. My dd was 6. She turned 6 last April and we began formal lessons in June.